God performed a mighty miracle at Jericho when the Israelites walked around the city seven times and the walls came tumbling down with their loud shout. But today, Jericho looks like any other town rising in an oasis and you would hardly realise its history. A little church hugs the hillside overlooking it and is supposed to be where Jesus was tempted by the devil. The River Jordan, of which I had heard and read so much, had dried up. Where was the mighty river that the Lord stopped flowing so the Israelites could pass into the Promised Land? Where was the water where Naaman bathed seven times and was cleansed of leprosy, where Jesus Christ was baptised and of which we sing of in so many songs? Was it symbolic? Has Israel dried up spiritually? In its place were fields and crops. The Israelites have built a barrage at the Sea of Galilee, so the River Jordan only flows in winter when it floods with rain. It seems sad to me that this has happened to the mighty River Jordan. On the way to Beit She’an, the valley had very verdant fields; we saw watermelon, grape and sunflower fields. You can see why the Israelites wanted to move into the surrounding area, but we were told they failed to defeat the residents. King Saul and his army had another go at conquering them, but they were defeated and killed. The bodies of Saul and his sons were put on display on the city walls of Beit She’an. All fired up at death of his King and friend, David went on to defeat the city’s inhabitants. The searing heat wilted us as we went around the ancient ruins. There was a bathhouse, which would once have been good to dip in, streets that once sold unknown fare and roads bearing fragments of mosaics of lions and zebras, which once roamed there. As we approached the theatre, a Dutch woman joked I would sing on the stage, so sang a praise song to the Lord. How lovely it was to praise His Holy name. 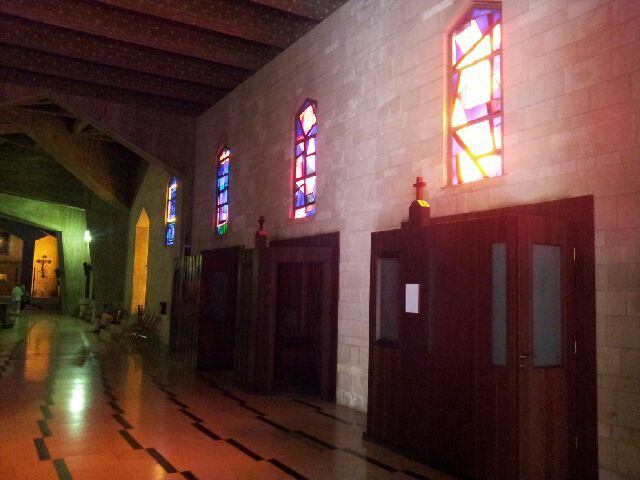 Nazareth, our next port of call, seemed like a mini Blackpool for those on a Christian pilgrimage. The Church of the Annunciation failed to move me with its claim to be the place where the Angel Gabriel told Mary that she was to bear the Son of God, but the art and windows was something else. The church had been forewarned that a Pope was to visit in the 50s so had started an appeal to rebuild it and refurbish it to papal standards. The windows were effervescent, glowing like modern art and the walls on the upper level were decked by images of the Madonna and child from every nation who had responded to the appeal. 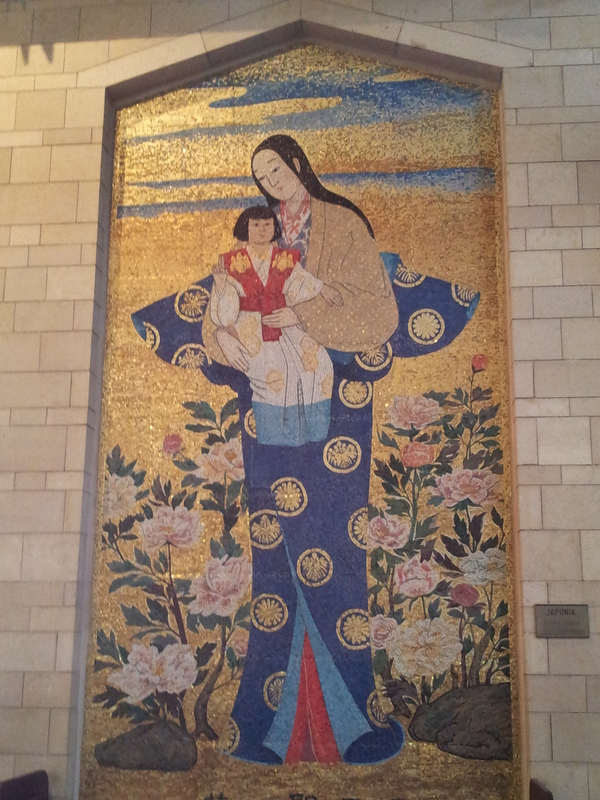 On seeing a Japanese Mary and Jesus, something touched my soul. In the lower level of the church is a cave where Gabriel is supposed to have appeared to Mary but it just looked like a cave to me with religious paraphernalia. At the side of the church archaeologist have unearthed some of ancient Nazareth, perhaps closer to Jesus than anything in the church! 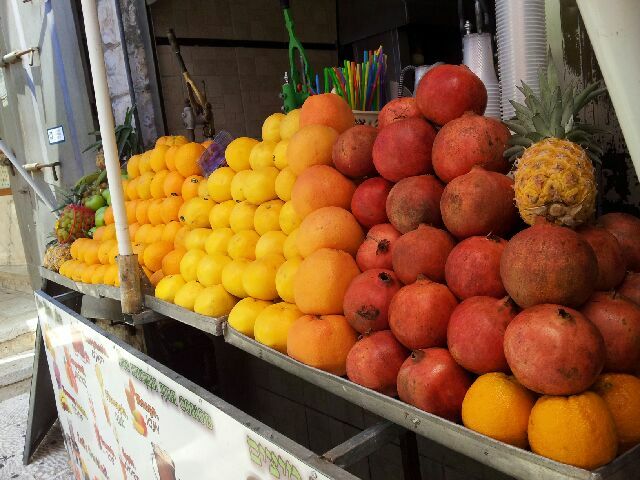 The shops below sell everything the tourists could want and more. Food, drink, clothes, pottery, ceramics; you name it, they had it at a price you could barter for! The Christian Tour became less Christian as the day progressed. We visited Zafed, the home of Kabala and went into a synagogue where our guide explained the objects and the difference between that regular Judaism. This entry was posted in Christian, Encouraging, Jewish, Travel and tagged Beit She'an, Christian, Israel, Jericho, Jesus, Miracle, Nazareth. Bookmark the permalink.